Authored by biologists at the Department of Game and Inland Fisheries and the Smithsonian Institution - this is an one-of-a-kind publication written by the experts! Virginia and its surrounding waters is habitat to 24 species of turtle, including 5 species of sea turtles. 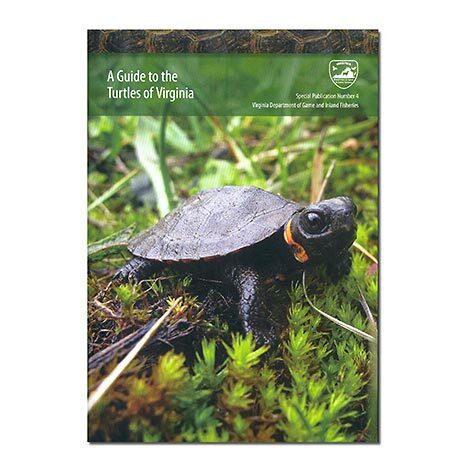 With over 100 photographs and illustrations, this guide is intended to help you identify the turtles of Virginia, while providing insight into their behavior, ecology, distribution, and conservation. Most of all, we hope this guide will raise your awareness and motivate you to become involved in the conservation of these fascinating animals.